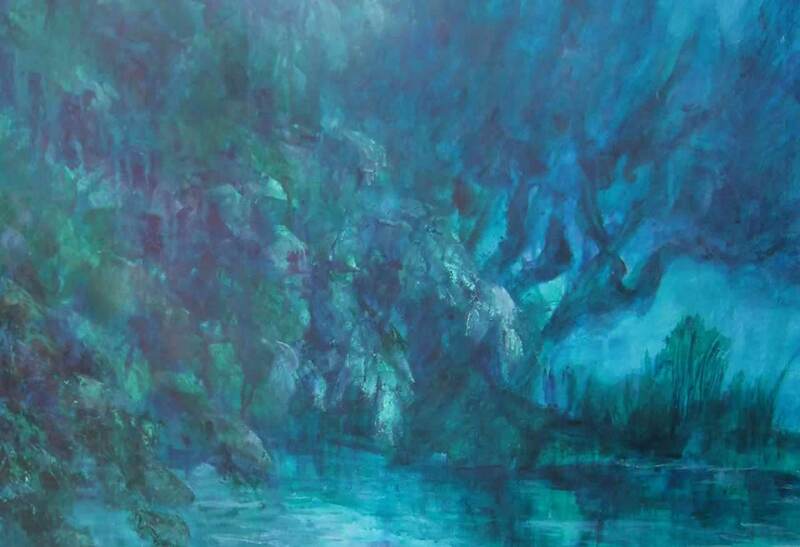 “The colours of the Algarve authentically captured"
One of the Algarve’s highly respected artists, Caroline Wood, pays tribute to the natural beauty of her surroundings in both water colour and oil. 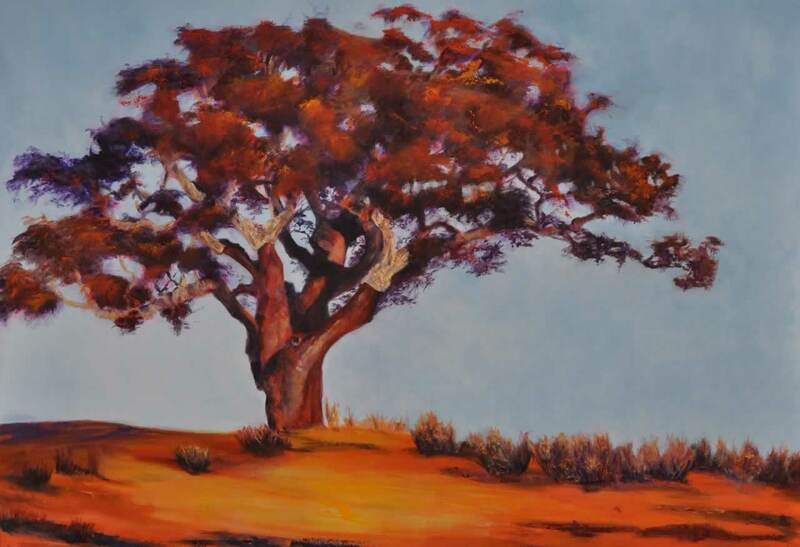 Her work features a wide array of landscapes as well as contemporary pieces. In 1991, after retiring early from a busy banking career in London, Caroline discovered a new creative flair for Interior Design and Decorative Painting which quickly led to successful commissions in painting murals, trompe l'oeil and even furniture. During this time, Caroline and her husband started spending 6 months of the year in the Algarve on the south coast of Portugal. A growing love for the relaxed and natural beauty of the place increasingly inspired Caroline to take up water colour painting. 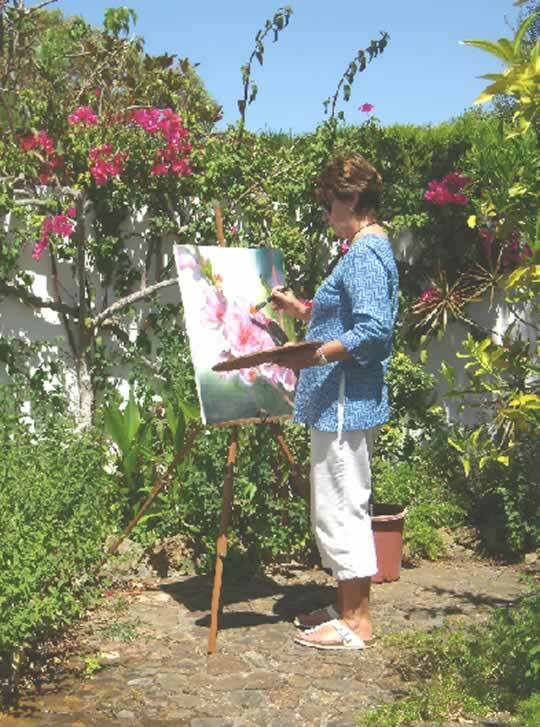 In 2002 their permanent move to the Algarve took Caroline on a new journey into oil painting, which has won her considerable acclaim and a participation in many exhibitions. Caroline remains inspired by the beautiful countryside that surrounds her home near Espiche where an authentic old building houses her studio. 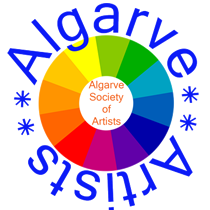 Her work captures the clarity of light and colour that is unique to the Algarve and there is a definitive, signature freshness that characterises every piece. Her creative talents also extend to natural therapy as she is a qualified Kinesiologist and a registered Touch for Health instructor. "Attempt what is not certain. Certainty may or may not come later. It may then be a valuable delusion." The following paintings are offered for sale. If you are interested in purchasing an original oil painting direct from the artist, please contact Caroline. 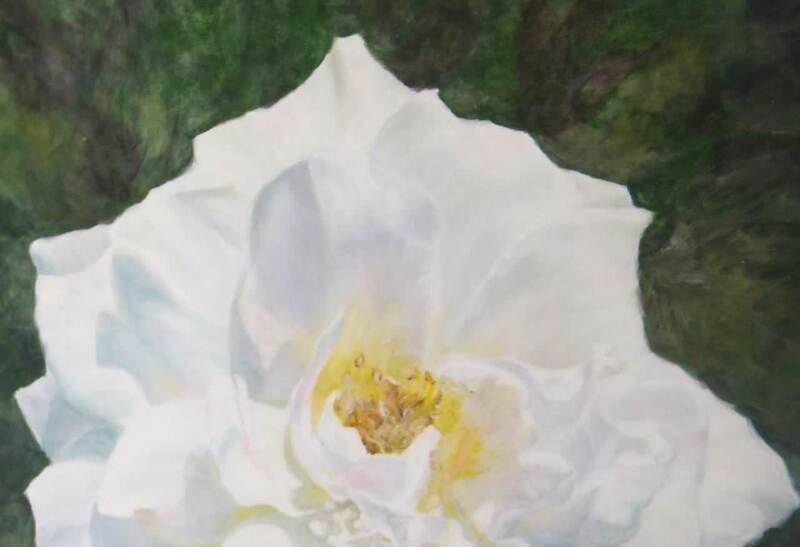 Caroline welcomes you to contact her via email regarding any painting in which you may be interested or if there is a private work that you would like to commission.